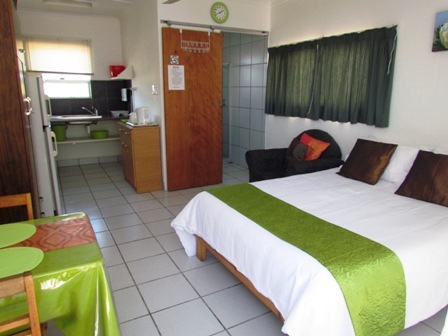 Snoekie is an openplan en suite self catering unit to accommodate a maximum of 2 adults. 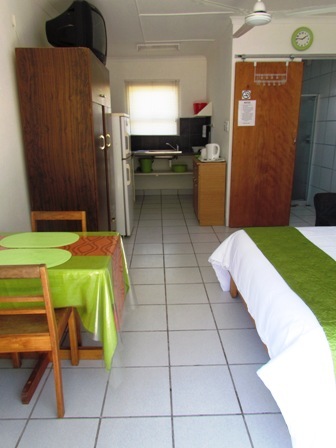 A single bed can be requested by management for a small child. 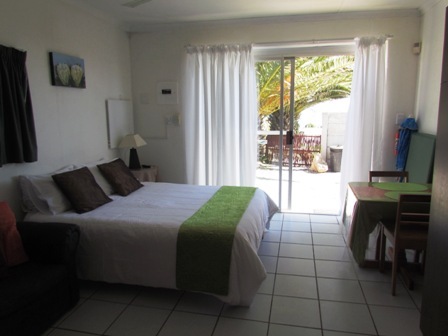 The open plan unit overlook a courtyard with braai facilities. 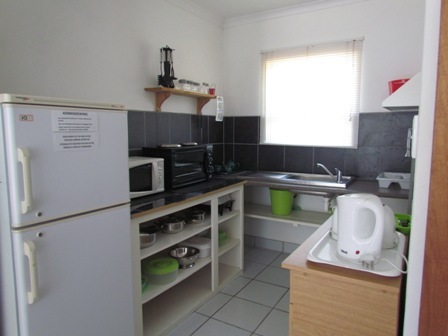 Kitchenette on the left and entrance to the shower/toilet on the right. To ensure your privacy a wall is created and sea view is limited. A table and umbrella is provided.